A mobile fish-weigher for weighing fish – during loading – directly by the pond. 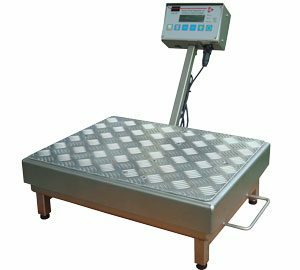 The scale is made of stainless steel and cast aluminum and thus for use in freshwater aquaculture. A acoustic feedback for each time the load is added to the total makes it very efficient to use. There is a build in battery for 8 hours operation. A mobile fish-weigher for weighing fish – during loading – directly by the pond. 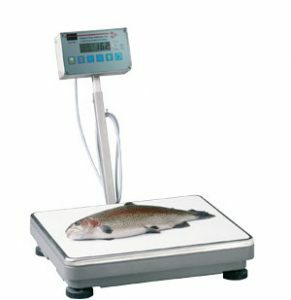 The sturdy scale is made of stainless steel and thus for use in both fresh- & sea- water aquaculture. A acoustic feedback for each time the load is added to the total makes it very efficient to use. There is a build in battery for 8 hours operation.